Deeyah is a woman and a Muslim which is not always an easy combination for someone with tremendous talent and looks that would easily bring her fame and fortune. But, fortune was not what came her way when she launched a musical career and began to get media attention. Instead she recieved death threats from Muslim fundamentalists whose self interests she must have threatened. 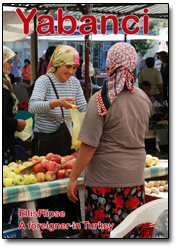 Evidently a proper Muslim girl must be obedient, defer to men and cover herself. But, Deeyah had different ideas and believed she had the right to make her own choices and kudos to her father and mother who agreed with her. Deeyah was born on August 7th 1977 in Oslo, Norway to Sunni Muslim parents of Pakistani and Afghani heritage. She is a Norwegian singer, music producer, composer, film maker and human rights activist of Punjabi/Pashtun descent. Deeyah's father was a music enthusiast that established an organisation called the Rāga Music Society celebrating Rāga, the most basic arrangement of notes in Pakistani classical music, in order to introduce Pakistani artists and music to the Norwegian culture. Through this musical organisation, he invited classical musical maestros from Pakistan to teach music to young people. Determined that music should become an integral facet of both of his children's upbringing, in 1984 he entrusted his seven year old daughter to the supervision of Ustad Bade Fateh Ali Khan. Deeyah studied Pakistani and North Indian classical forms of music under this grand maestro and became one of his favourite students. At the age of eight, Deeyah made her first performance on national television appearing on the primetime show Halv Sju. She would later perform at various festivals often as the youngest performer at these major music festivals. Ustad Bade Fateh Ali Khan taught her the intricacies of the instruments used under the Patiala gharana and Ghazal, Thumri and Khyal forms of classical music. Deeyah was also the member of NRK girls choir and recieved music lessons with the late African American soprano Anne Brown. Deeyah also spent some years receiving further musical training from Ustad Sultan Khan. At the age of 12 she was invitied by Polygram Records producers to sing a duet with artist Anders Wyller, this collaboration becoming Deeyah's first studio recording experience and she was signed to a recording contract at the age of 13. Her talent was recognised nationally in 1992 when she sang at the opening ceremony for Norways TV2 channel in front of an audience that included Åse Kleveland then minister of culture and Prime Minister Gro Harlem Brundtland. At the age of 15 Deeyah's debut solo album I Alt Slags Lys was released under the Norway-based independent recording giant Kirkelig Kulturverksted. I Alt Slags Lys received broad critical acclaim. She also collaborated with Knut Reiersrud, Reidar Skår, Paolo Vinaccia, Audun Erlien, Ustad Sultan Khan and Ustad Shaukat Hussain Khan from Pakistan. It was on her national tour during her early success that the Norwegian-Pakistani community criticized her family for encouraging her musical career - feeling it was inappropriate for a young Muslim woman to perform music. Deeyah's second solo album came out in September 1995 under contract with BMG/Arista Records. The album was released under her birth name and was titled Deepika. The album received critical acclaim and her music video recieved high rotation making her a prominent name in the Norwegian mainstream music scene. One of the music videos from this album caused uproar among conservative Muslims who claimed Deeyah was misleading Muslim women by showing her uncovered back. Her family continued to support her despite increased pressure and violent threats due to her growing presence in the media because of her music. Eventually, Deeyah was confronted with these threats directly when several men tried to abduct her from school in order to talk to her. Fortunately, several male students prevented her from being taken away, but a year later Deeyah was assaulted on stage and sprayed with pepper gas during a live performance. At the age of 16, after continual harassment and fearing for the safety of her family and herself, Deeyah departed Norway for the United Kingdom. Two year later, Deeyah signed a recording contract with the chairman of Warner Brothers Records, Rob Dickens. But, a year later, when Rob Dickens Warner Brothers, his recent signings, including Deeyah, were released from their contracts. Then a year after that her manager, Steven Fargnoli, passed away from colon cancer and Deeyah was left to fend for herself again. Two years later Deeyah managed to finish an album in the USA at the famous Soapbox Studios. Her first single Plan of My Own went to number one on The Box, receiving high rotation on several music channels as well as the Asian music channels B4U Music and Zee TV. Again controversy like that she had be the focus of in Norway started all over. Small groups of the local Muslim community expressed outrage about her being seen to be dancing seductively with a black man and put pressure on the television channels to remove the video. Fearing similar violence that she had faced in Norway, and after receiving more threats of violence, Deeyah stopped plans for the release of her album. The same organisation that had called for the banning of the Salman Rushdie Satanic Verses in the UK, the Muslim Council of Britain questioned her account of the threats and later accused Deeyah of being a Hindu because of her birth name of Deepika. This was dispelled in a CNN interview where Deeyah explained that she was named after a woman who had helped her mother during childbirth as well as the fact that her heritage had been publicly acknowledged in the Norwegian media since she was an eight year old girl. The growing frustration and anger towards the orthodox segments of the Muslim community led her to repsond with the song and music video called What Will It Be filmed in Mumbai, India. In what was to become the infamous burkah to bikini scene, the video spurred more outrage in the already sensitive Muslim community. Her video was banned by B4U in England after the network offices were threatened with violence. The What Will It Be video was intended as a statement about women's sexuality and their freedom of choice in life. In the video, Deeyah depicted two seemingly opposing images of morality and femininity - the burkah and the bikini. Deeyah explained her personal stance was that of non-judgment, as she does not endorse either end of the spectrum, but rather believes in the right of each woman to choose for herself. Deeyah would not allow the What Will It Be video to be released, but after many requests from fans she made it available for limited digital downloads in the UK only. The video appears to be Deeyah's last stand with the conservative elements of the British and Norwegian Muslim community. Deeyah left the spotlight soon after the release in 2006 and refused to appear in the media and turned downs offers to continue her music career and moved to the United States. Deeyah has not performed live or appeared in any music videos since. In 2007, Deeyah collaborated with Grammy award winning pianist Bob James, guitarist Andy Summers of The Police and Norwegian trumpeter Nils Petter Molvær on an album called Ataraxis. The album is a blend between Deeyah's Pakistani classical music training, folk styles from Pakistan and Afghanistan and electronica music. The recording of Ataraxix was done via online file sharing since all the musical participants are based in different parts of the world. These days Deeyah takes a behind the scenes role in her music projects, focusing instead on supporting and giving voice to others. She established Sisterhood in 2007 with a goal to empower young Muslim women by giving them a platform to express their creativity through music and other art forms. Sisterhood is also widely seen to be a network of support for young creative Muslim women in dealing with their challenges both culturally and artistically. 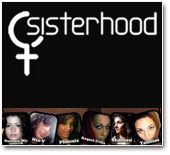 Sisterhood is an ongoing initiative and is today an organic movement consisting of young Muslim women based around the world especially in Europe and USA. Sisterhood initiatives are based around different artistic disciplines including music, writing, design, dance, art and photography. Sisterhood, through its projects and social media, brings young Muslim women across the world together to connect with each other to support and deal with the challenges they face artistically and culturally. Another project Deeyah started is Memini. Founded in early 2011, it is a digital memorial for the victims of honour killings worldwide. 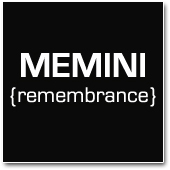 Memini means remembrance in Latin. It features the stories of young women around the world who have lost their life in the name of family and community honour. It aims to include as many stories as possible of such cases to acknowledge what has happened to these women by raising awareness about the extent of the problem of honour killings. Deeyah has been active in raising awareness of honour killings for several years and she is directing a documentary film about honour killings scheduled for release in 2011. Honor killings are seen across religious communities and are not limited to one particular group. Honor killings are directed primarily against women and girls and are most often premeditated murders intended to restore the family’s social position and honor through cleansing the shame which the woman or girl is said to have brought on the family name by erasing her very existence. Is it not amazing that generally only females are targeted for bringing this dishonor on the family and that men are the ones who do the honorable thing by viciously murdering thier own sisters, wives and daughters? Deeyah has been the recipient of numerous awards and honors. The Rikskonsertene Award was given to Deeyah for musical contributions to Norwegian society and cultural diversity. Deeyah has done several projects with Rikskonsertene performing for school children and being a part of teaching music workshops for students. Deeyah's image and participation has often been used in the Norwegian education system. The Norwegian Pakistan W.W. Union Award was given to Deeyah to honor her for her musical and artistic contribution and for being a positive role model for children and youth. The Scheiblers Legat, presented an Honor Award to Deeyah for being a cultural bridge - for creating understanding and tolerance through her musical and artistic contributions. In 2006, one of her music videos was used as part of an art exhibition at The Stedelijk Museum where leading national and international theorists, critics and artists addressed topical issues in contemporary visual culture. In 2009, Deeyah was awarded with the International Freedom to Create Prize alongside Cont Mhlanga, a Zimbabwean playwright and the Belarus Free Theatre for What Will It Be and Sisterhood. The controversial music video which was the courageous response to the death threats Deeyah recieved from Muslim fundamentalists because she was a woman performing music in public and not bowing to their demands. It was not released due to the violence threatened towards her and her family. The video is a tasteful and well done, but portrays the full spectrum of womens beauty and power whether in a burkah or a bikini - which evidently made these male victimizers quite uncomfortable. 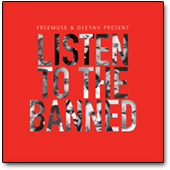 The international compilation album produced by Deeyah titled Listen to the Banned featuring banned and censored musical artists from The Middle East, Africa and Asia. Sisterhood was founded by Deeyah to help empower young Muslim women by giving them a platform to express their creativity through music and other art forms. Deeyah founded Memini in early 2011 as a digital memorial for the victims of honour killings worldwide. Memini means remembrance in Latin and it features the stories of young women around the world who have lost their life in the name of family and community honour. Memini aims to include as many stories as possible of these tragic cases to acknowledge what has happened to these women by raising awareness about the extent of the problem of honour killings.